If possible, why not do a quick test run of your return? The year is almost done so you should have most of the information you need to come up with a projection. Sure, some of the numbers will need to be estimated, but the end result should yield a pretty good picture. With that picture in hand, you will know what moves you can or need to make before year’s end. Both individual and business returns tend to be prepared on a cash basis. Thus, if you can spend the money in 2013, you will get it to count on your return. Have some medical purchases (e.g. glasses, contacts, etc) that you were planning to make in January? Move them into December and they’ll be deductible on this years tax return. The same is true for that mortgage payment of yours. If the bank cashes the check in December, the mortgage interest will increase your deduction for this year. Are you a self employed business person? Do you operate on a cash basis? Well, if you want to reduce your taxable income for 2013, why not consider billing your customers late or giving them a little grace period to pay so that the revenue hits your desk in 2014. Do you have a company 401(K) account but haven’t contributed the Federal maximum of $17,500? Well, each dollar you contribute reduces your taxable income. Already received your last paycheck? Not to worry, you can still make a contribution to your IRA AND if you meet certain income limitations, you can shave a little off your tax bill. If you are self employed, you can make contributions to SEP and SIMPLE plans to receive a tax benefit on your return. Were you considering making a donation next year to a certain charitable organization? If so, consider making them in 2013 and you can reduce your taxable income. Have some items in your house that are taking up space? Why not give them to the Salvation Army, Goodwill or your other local charitable organization? You’ll be able to deduct the fair market value of the goods on your tax return and help out someone in need. Just make sure you follow these tips to get the most out of your donation. 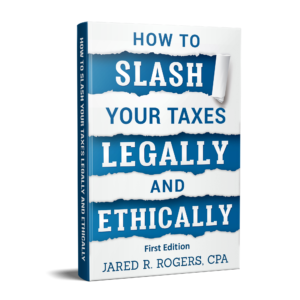 This entry was posted in Tax Talk and tagged last minute tax tips, Tax deduction, Taxable income, year end tax moves, year end tax tips on December 29, 2013 by Administrator.